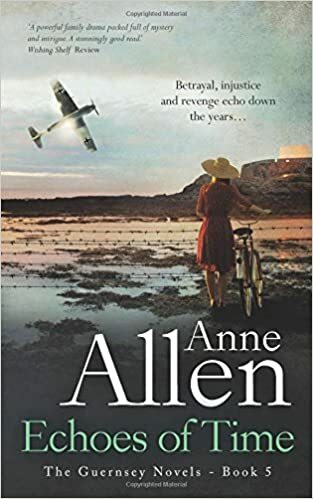 I was given this book by Anne Allen as part of Rosie Amber’s Book Review Team (#RBRT) for a fair review. My thanks to them both. Betrayal, injustice and revenge echo down the years… 1940. Olive marries farmer Bill Falla. The Germans occupy Guernsey. All too soon Olive realises she’s made a mistake. Her life changes when she meets Wolfgang, a German officer- but there’s a price to pay. . . 2010. Natalie Ogier returns to Guernsey to escape an abusive relationship – only to be plagued by odd happenings in her beautiful cottage on the site of a derelict and secluded farm. Disturbing dreams, disembodied voices and uncanny visions from the past. She becomes increasingly ill at ease as someone else’s past catches up with her own… Her only immediate neighbour, Stuart, is the grandson of the original owners, Bill and Olive. Thrown together in a bid to find out what really happened to Olive, can they each survive the repercussions of the past and move on? Anne’s books have been on my wishlist for ages! Sorry I was late informing you I’d posted it, Rosie. Time flies by!! Thanks for dropping by and your lovely comments,Jena. Looks interesting Judith.. I have spent time on Jersey but not Guernsey.. they have a very different atmosphere..